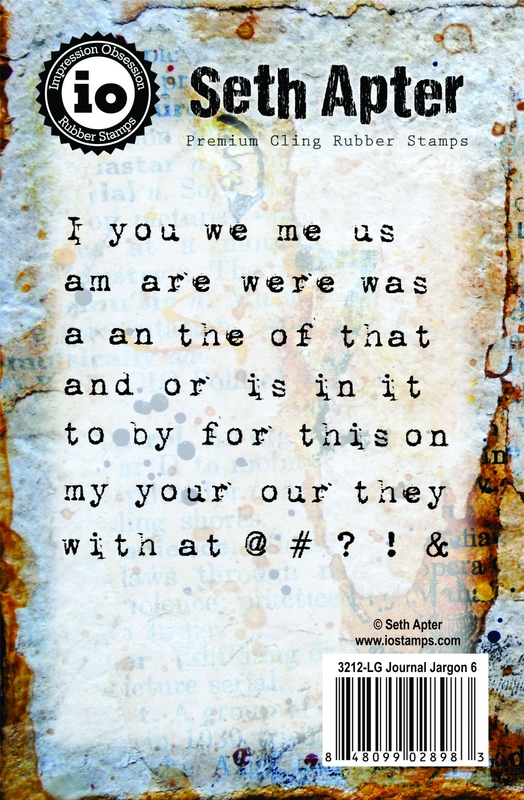 Journal Jargon Six is a set of 16, vintage-typewriter font art stamps from my Impression Obsession collection. Made in the USA, these stamps are deeply etched, red rubber that is backed with repositionable cling cushion. Each of the words/symbols is pre-cut and ready to stamp. The largest word is approximately 1.25 inches long by 3/8th inches wide. This set was designed as a connector set, providing words ands punctuations to allow you to create sentences and phrases when combined with the words found in my Journal Jargon sets One through Five. The fonts are all identical, making for seamless stamping.